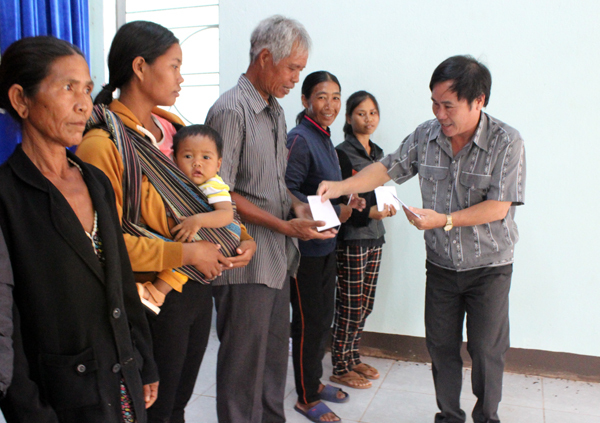 The Committee for Ethnic Minority Affairs supports poor ethnic minority people in Gia Lai suffer from tornado. 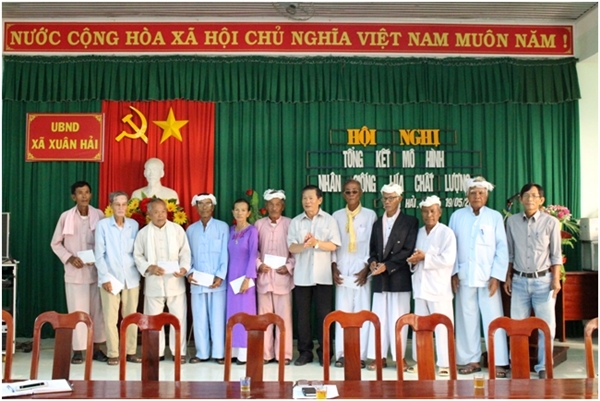 On May 23rd, Nguyen Xuan Duc, the Head of the local Department 2, authorized by the Minister, Chairman of the Committee for Ethnic Minority Affairs; gave presents supporting from the Committee for Ethnic Minority Affairs to 19 ethnic minority families those have been affected by tornado recently at Chu Don village, Chu Puh district, Gia Lai province. 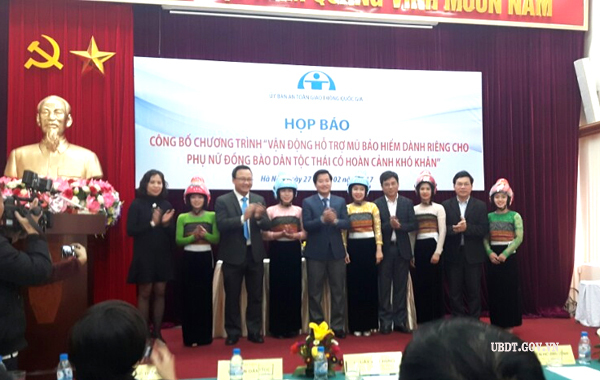 As one of the events of the Support helmet Program “Tron nghia dong bao, am tinh cha me”, on 27th December, in Hanoi, the National Traffic Safety Committee launched the press conference for Project “Supporting specific helmet for Thais women who has disadvantage situation”. Khuat Viet Hung, the Deputy President of the National Traffic Safety Committee participated in the conference; the representatives of Ministries and Organizations; Do Van Dai, the Deputy Director General of Department of Propaganda represented the CEMA participated in and associated with the program. 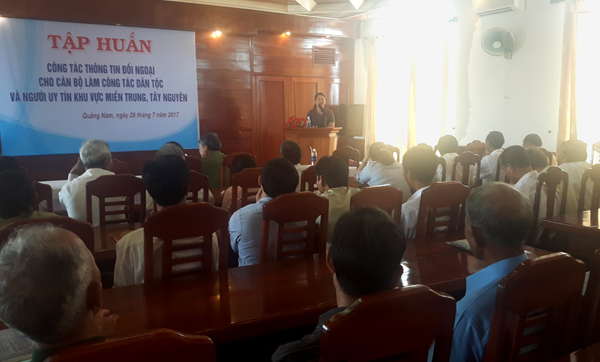 In two days, from July 6th to July 7th, Tuyen Quang province, Committee for Ethnic Minority Affairs associated with National Traffic Safety Committee, Tuyen Quang People’s Committee launched training propaganda class for cadres doing province’s tasks and 75 influential individuals from Tuyen Quang mountainous and ethnic minority area. Having the authority of CEMA’s leader, Mr. Do Van Dai, Deputy Head of The Department of Propaganda will direct the training class. 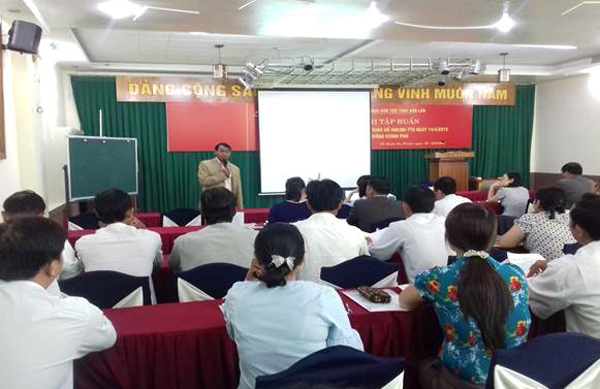 From May 23rd to May 26th, the department of Ethnic Minority together with the local department 2 - the Committee for Ethnic Minority Affairs and Dak Lak Ethnic Mirority Board arranged a training session from 2015 to 2025 to decrease the child marriage and near blood-relationship marriage in ethnic minorities group for the operators, elders, influential individuals at Cu M’ga and Krong Bong district of Dak Lak province. 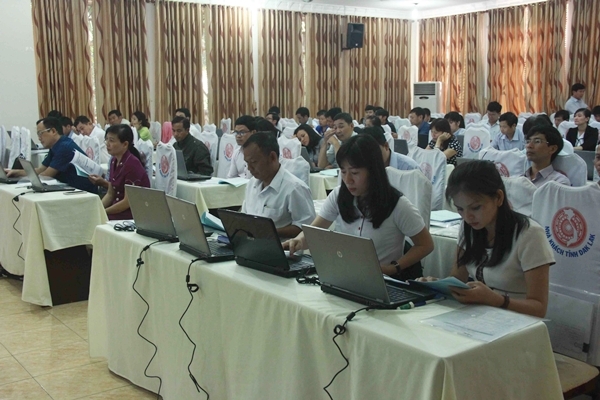 On October 25th, in Buon Me Thuat city, Dak Lak province, the Office operating Program 135 associated with the Information Centre of the Committee for Ethnic Minority Affairs launched the Conference training how to report and instruct the synthetic software executing Program 135. The Deputy Minister, Vice Chairman Nong Quoc Chan visited and wished a new lunar year military troops and people in Dak Nong and Lam Dong province. 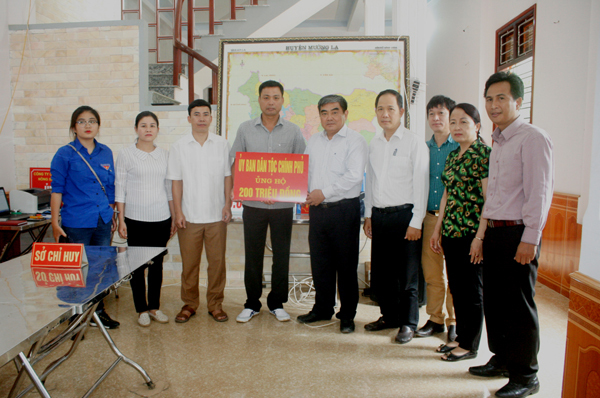 In two days, from January 11th to 12th, the CEMA (Committee for Ethnic Minority Affairs) delegation leading by the Deputy Minister, Vice Chairman Nong Quoc Chan had visited and wished a new lunar year military troops and people in Dak Nong and Lam Dong province. On the occasion of 2017 Ramuwan festival of Cham people (who follow Bani religion), having the authority of the Minister, Chairman of the Committee for Ethnic Minority Affairs, from May 22th, 2017 to May 26th, 2017, the Delegation of CEMA leading by Mr. Nguyen Xuan Chau – Head of the representative office of CEMA in Ho Chi Minh city visited, wished a happy new year and gave presents to influential individuals, poor family households in Cham community in two provinces: Ninh Thuan, Binh Thuan. 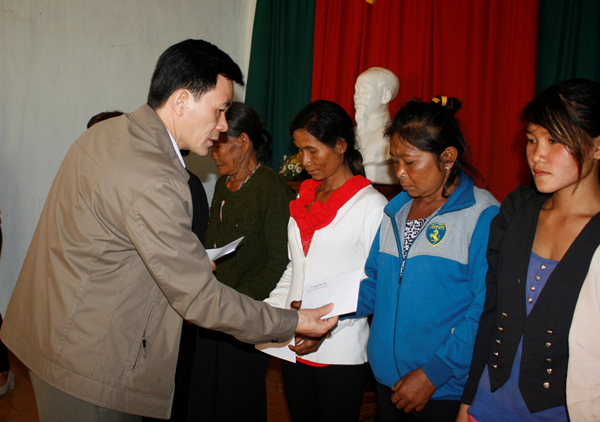 On August 8th, the Deputy Minister, Vice Chairman Ha Hung led the delegation of the Committee for Ethnic Minority Affairs to give 200,000,000 VND to people who affected by flash flood in Muong La (Son La province). This is the money donated by cadres, officials, employee of CEMA to support people being affected by flash flood. In order to push the propaganda tasks and equip basic knowledge of foreign information, making a change in the awareness, efficiency in assignments involved foreign information of cadre doing ethnic tasks in provinces of Central Vietnam and Tay Nguyen area. 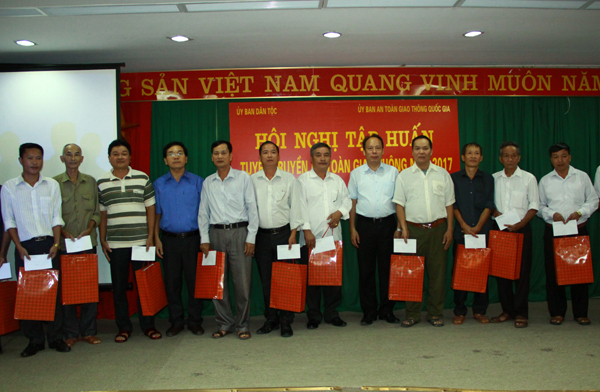 On July 28th, the Committee for Ethnic Minority Affairs associated with People’s Committee of Quang Nam province launched the training foreign information class for cadres doing ethnic tasks and influential individuals in seven provinces: Quang Nam, Gia Lai, Kon Tum, Quang Ngai, Quang Tri, Binh Dinh and Thua Thien Hue. Having the authority of CEMA’s leaders, Mrs. Hoang Thi Le, the Deputy Director General of The CEMA Department of Propaganda attended and directed the training class.